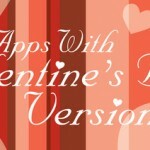 Fans of strategy games, especially those with a historical theme, should be happy to hear about this new addition to the App Store. 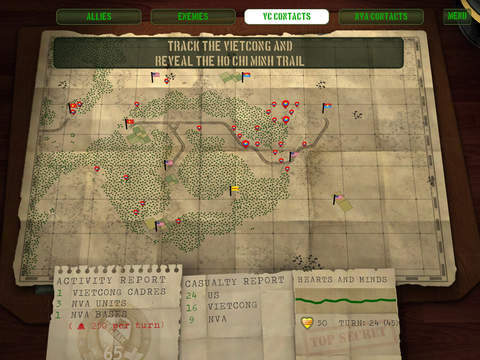 Slitherine Software UK has released Vietnam ’65, a game in which you play as a U.S. Army commander waging a counter-insurgency (COIN) war to secure the Ia Drang valley on the border with Cambodia. The game challenges you to win the hearts and minds of the local populace as you seek out and destroy Vietcong insurgents as well as North Vietnamese Army units. 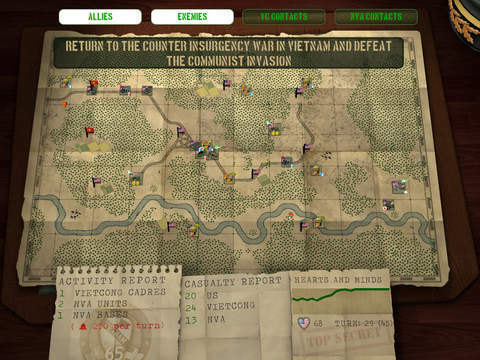 The NVA conducts operations from across the border, trying to back up the local insurgency while also launching offensives when the time is right. 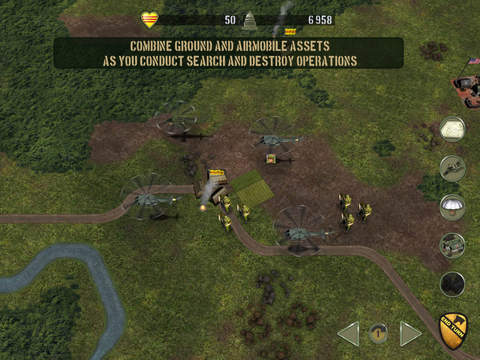 To carry out your own COIN mission, you will have to coordinate ground troops, special forces, artillery, mechanized units, and air mobile assets. 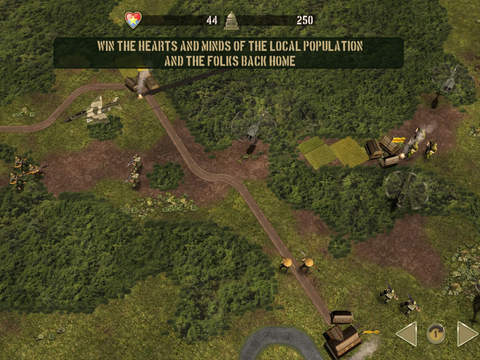 You will also need to train the local forces, but most importantly, you will have to win the support of the local population. To make the game even more interesting, you will be challenged to manage support for the war back home. The game aims to capture the true essence of the Vietnam War, and players will be able to rise through the ranks from Lieutenent to General. 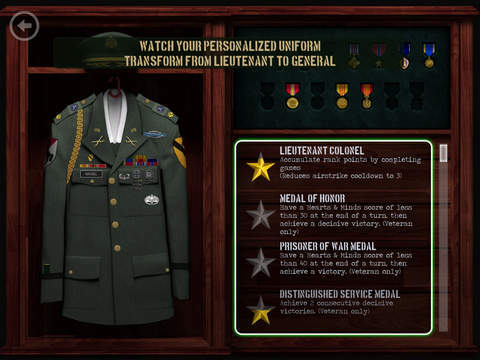 You even get to watch your personalized uniform change as you rise through the ranks. Vietnam ’65 is available for $9.99 on the App Store.